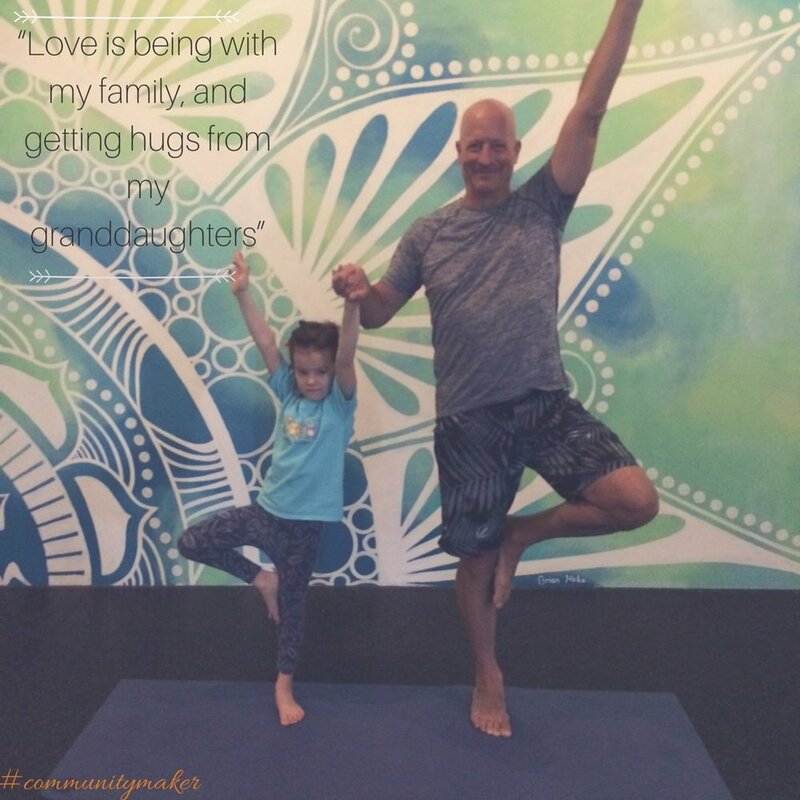 Community Yoga is... a haven where everyone is accepted and value; a place where you can bask in the energy created by a roomful of yogis moving together. Community means... being compassionate, empathetic and supporting each other. Looking at life through the eyes of the person you pass by on the street, or on the mat next to you. What makes me come alive.. spending the day (week or month) pedaling my bike down country roads, anything my wife Halina cooks, making wooden toys for my little ones and furniture for my kids, and fixing broken things.